Few people observe landscapes more sharply than the people who paint them. 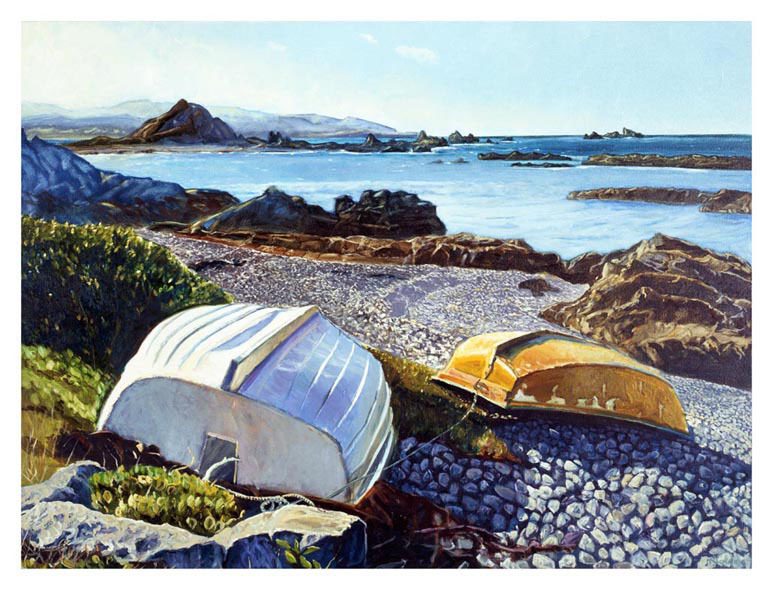 Irish-born Wellington painter Michael McCormack has painted Ireland and New Zealand and is keenly aware of how the light and colour compare. Michael learnt his craft at art school in Cork city. ‘I painted large canvases on location, learning to capture the light and jot down perspective and detail quickly before the rain came’. Cork locals describe wet weather as ‘a soft day’, said in a tone that suggests the rain is a complete surprise. Murphy’s Irish Stout sponsored his first exhibition and he made enough money to head to New York. Later in Hawaii he met Rachel Bell, a young Kiwi on her first OE stopover. ‘I was a legitimate broke artist,’ he says. He hitched up with Rachel and for two years they travelled together. 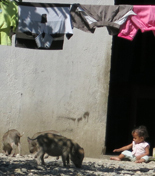 Now residents of Island Bay, Michael and Rachel have three young children. 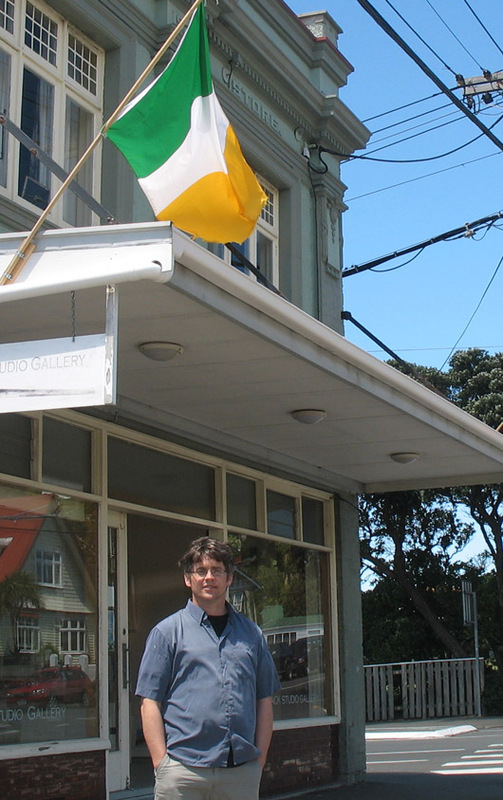 His studio, 150 metres from the beach, does well. Sir Ian McKellen, a buyer of Michael’s paintings, said they ‘filled the place with light and good humour and a love for Wellington’. Michael probably could have made a living as an artist in Ireland, he suspects, but ‘I don’t know of many who can survive’. The capital is the perfect place to call home, he says. It reminds him of Cork city. He loves the old villas, different-coloured roofs, the boats and old dinghies, the sun shining and the interplay of light, colour, shadow and geometric shapes. Twilight colours are incredible and electric lighting on wet streets can create surprising colour. Spring or autumn are the best times to paint, he says, when the shadows are longest. In Cork he painted urban landscapes in the street, even if it rained. Wellington is too windy to set up an easel in a street but he’s not trying to emulate a photograph of a particular scene. First he’ll sketch it, let impressions soak in, then use colour photographs to refresh his memory while he paints. This entry was posted on Thursday, December 1st, 2011 at 6:05 pm and is filed under Profiles. You can follow any responses to this entry through the RSS 2.0 feed. You can leave a response, or trackback from your own site.